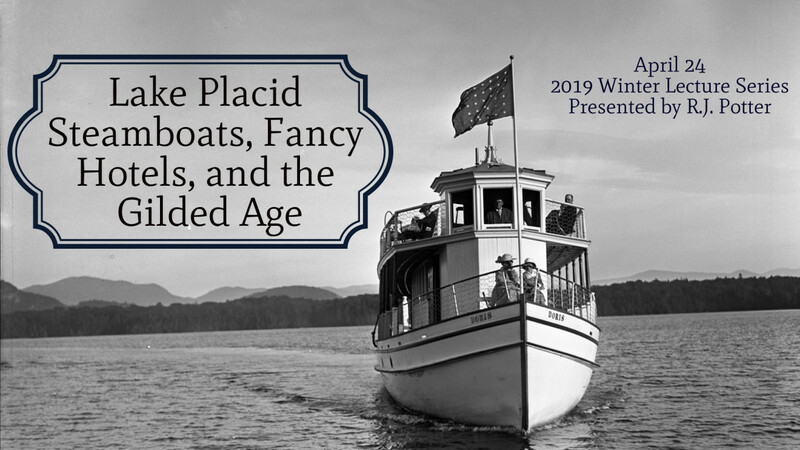 Please join us for our April Winter Lecture: 'Lake Placid Steamboats, Fancy Hotels, and the Gilded Age' presented by R.J. Potter. A rare historical photo tour-lecture through the lens of time of our extraordinary Lake Placid playground during the opulent Gilded Age (1879-1919), the early pioneers, popular steam and tour boats and magnificent grand hotels. All lectures are free and open to the public. We encourage attendees to come early for drinks/dinner to support the generous venue hosting the evening!